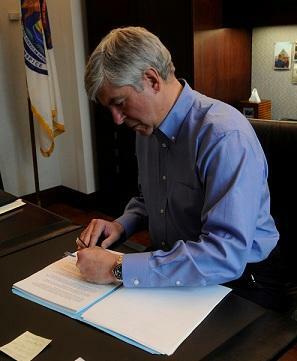 Governor Rick Snyder has signed a measure to set up a three-county pilot project to try out suspicion-based drug testing of people who apply for welfare benefits. Snyder says the testing would only occur in cases where there’s a reasonable suspicion of drug use. The governor says people who test positive the first time will be directed to a treatment program without losing benefits. Under the project, people who test positive would be directed to a treatment program. He says people who continue to use illegal drugs could lose benefits. The governor also signed a bill to expand Michigan’s film incentives. 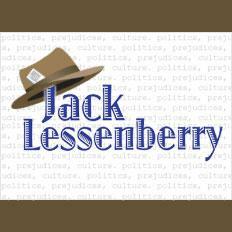 He vetoed a bill to determine how Michigan would select delegates if a national convention is convened to draft a balanced budget amendment to the U.S. Constitution. Well, here’s some news you’ve been waiting for. Two bills may soon be on the governor’s desk requiring suspicion-based drug testing for welfare recipients. 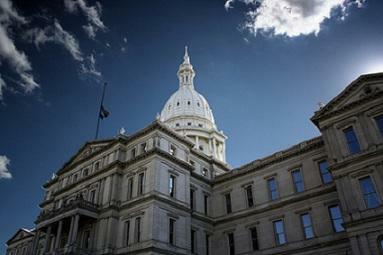 The Michigan Senate has approved both, the House has passed one, and the odds are that they will smooth out any differences and send them on to the governor. Signing them would be the sort of thing politicians do in an election year. Indeed, it would make lots of people happy. Just think of all those lazy welfare chiselers, using our hard-earned taxpayer dollars to get high. During the debate on Medicaid expansion, one of the program’s biggest foes said something worth consideration. State Senator Patrick Colbeck of Canton is a Tea Party favorite who is about as firmly anti-government as anybody. Especially, that is, when it comes to the federal government. Colbeck firmly opposes any tax increases for any reason, including fixing our roads. He not only wanted to stop extending Medicaid, he wanted to get the state out of that federal program altogether. He proposed a state-financed version that would cost the state more and insure fewer people. Even most of his fellow Republicans voted against that. Indeed, that is a version of the nightmare that has haunted conservatives for decades: That our nation is becoming a place where a shrinking group of hard-working, self-sufficient Americans are cruelly taxed to support a huge parasite class.